The Tyrrell 003 is a Formula One racing car which was designed for the 1971 Formula One season by Tyrrell's Chief Designer, Derek Gardner. 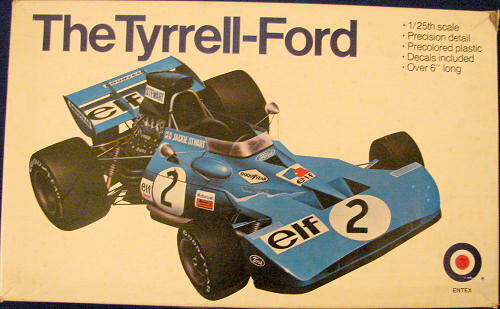 It was effectively the same car as Tyrrell 001, with a redesigned nose section, longer wheelbase and narrower monocoque. Tyrrell 003 was a one-off design, its type number also serving as its Tyrrell chassis number. Interestingly, Stewart and team mate François Cevert used different chassis throughout both 1971 and 1972, with Stewart having exclusive use of 003 and Cevert competing with 002. Jackie Stewart drove 003 to victory at the 1971 Grand Prix of Germany, Spain, Monaco, France, Britain and Canada. This was a banner year for Team Tyrrell. Jackie Stewart crowned his achievements of the year winning the driver's World Championship title and Team Tyrrell winning the Constructor's Championship. Stewart also won the 1972 Grand Prix of Argentina and France in chassis 003. He raced the car for most of the season before getting a new one for the Austrian Grand Prix in August of 1972. Despite scoring four wins with Stewart during 1972, 003 had come to the end of its racing life. Tyrrell 003 remains the Tyrrell team's most successful chassis. It is also the individual chassis that has scored the most Grand Prix wins in Formula One history. I could find no date anywhere, but I would guess the kit dates from the early 80’s. It is molded in black and chrome with the body molded in dark blue. It has a complete engine and detailed suspension, but the 1-piece wheel/tires are hollow backed plastic. Also included is a clear windscreen and medal axles. I didn’t see any flash or ejector marks and the overall detail looks quite nice. There will be a nasty seam between the upper and lower body halves that will require attention. 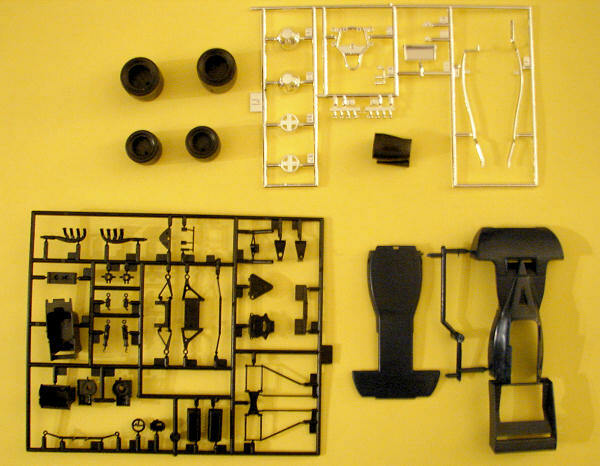 The instructions are 2 pages and include a parts layout. No painting callouts are given but it shouldn’t be too hard to figure out. The box top and the front of the instructions show Jackie Stewarts #2 car, but the decals are for a generic #11 car with Goodyear where the driver names goes. The decal placement guide also shows the #11 car. 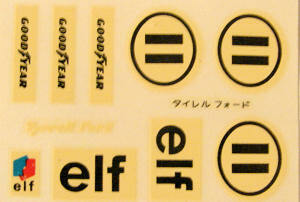 The decals in my kit are slightly yellowed and may not be usable. A decent kit that should build into a nice Tyrrell-Ford. The generic decals are a let down as there are no a/m decals in this scale. I would try to outsource a different set of tires because, although nicely done, the 1-piece plastic tires just don’t look right.